Recently a woman hit her head while skiing and died. That’s not news by itself. Downhill skiing is reasonably dangerous, and death from head injury is a yearly event at a major resort. In Colorado, for example, about 10 downhill skiers die every year, mostly from head injuries. So a major resort will have an average of 1-2 deaths a season. The newsworthy part of this sad story is that the accident happened to a wealthy celebrity. The noteworthy part is that it took place in my birthplace – Quebec, at Mont Tremblant. I did my medical training in Quebec, and several family members, including my parents, still live there. So I have a reasonable sense of how well Quebec’s health care services work, and how well they don’t work. In this case, the services didn’t work so well. Anyone with an epidural bleed, whether wealthy or poor, needs emergent neurosurgery. This patient was a long way from a neurosurgeon -- she needed a helicopter. Instead she got an long ambulance ride and she died. She might have died anyway, but the ambulance ride didn’t leave a lot of options. The helicopter wasn’t available because Quebec’s government run health care system puts its limited money into other services. Visiting nurses, good. Trauma care, not so good. Which brings me to my old one slide summary of health care reform ..
(Or you can read the text version). I’m certain Quebec could spend its health care dollars more wisely, but even a perfect government would make hard choices. Quebec provides universal health care coverage (more or less, meds not included) and it’s not a particularly rich region. Decades of stuttering separatism, political incompetence, and institutionalized corruption have taken their toll. One choice Quebec has made is to spend less on costly air ambulance services. That means some people will die of trauma that, in the US or Ontario, might live. And that’s the lesson for health care reform. Sure, some people think computerized medical records will make everything affordable. Since I make things like that I must say that I agree completely and we’ll all soon drive our new Lexi to the Apple Store where our MacBook Pro will be ready for pick-up. Ok, for the sake of argument, let’s assume that EHRs won’t turn out to be a miracle cure. Well, we probably can’t do what Canada did when it introduced universal health care coverage. Most provinces banned private insurance, and then gave everyone top notch coverage. 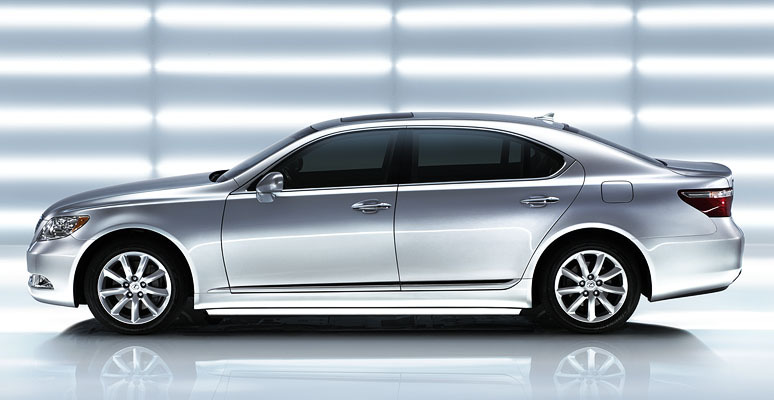 In other words, a Lexus for all. Then they ran out of money and, very painfully, started to make harder decisions. We can’t do it because we’re massively in debt and more or less broke. We can’t pull that trick. Besides, it’s been done before, it might not work as well a second time. So what can America do? America can keep its luxurious waiting rooms and hospital Spas for people with money, and provide an effectively universal second tier health care delivery system that uses far fewer physicians, negotiates for cheap meds, and uses obsolete "netbook-grade" technology. That system will be affordable. Call it "Crummy Care". "Good Enough Care". It would be a huge benefit to our society. Or we can do nothing. We’re good at that. Update:  On second thought, I think that analogy was obscure even by my standards. I'm pointing out that netbooks are cheap because they use obsolete technology. The best made netbooks perform like a 2004 stat-of-the-art laptop. I don't mean that netbooks have any impact on health care affordability. Sorry.